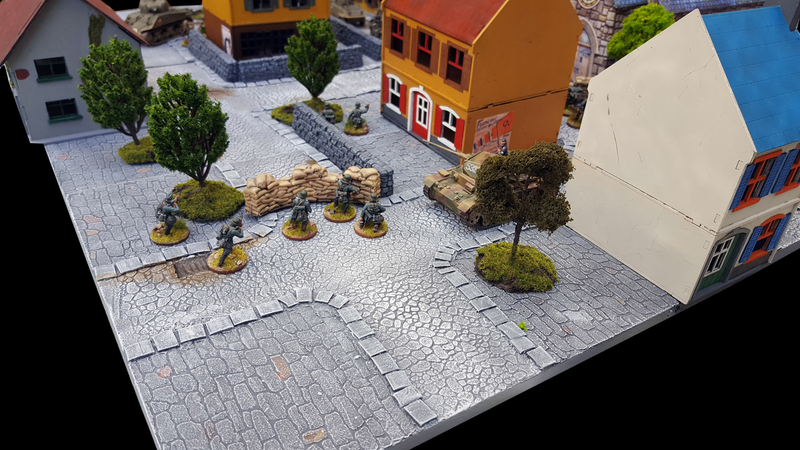 The Urban Battlefields are to be the first major expansion of our Modular Battlefields line, a comprehensive selection of options to stage village/town/city encounters and battles. It includes enough textures, ideas and designs, to go beyond another "unlock" of our existing line, and qualify for a full campaign on Kickstarter of its own. DRAGONLOCK™ Ultimate (patent pending) is an all-new interlocking terrain system that allows you to create fully modular, multi-level 28mm scale dungeon terrain for your RPG or wargame on your home 3D printer. Individual pieces links to neighboring pieces with our exclusive Dragonbite™ clips. 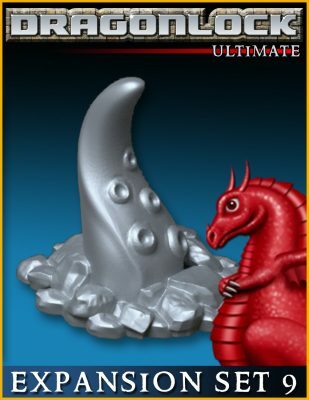 Each set is delivered as a downloadable .stl file, and once you have the set, you can print as many pieces as you like and never run out or need to purchase more. 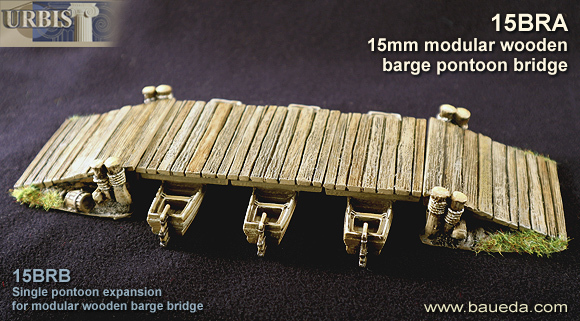 A modular barge bridge set that can be used from medieval time up to WWII! Being made of modular components means you can tailor the length to your needs, and combine it with other elements of our ranges. 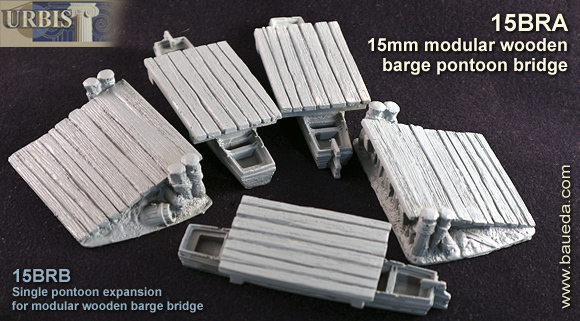 This model is specifically designed as a military wooden bridge for 15mm games, and it is therefore the exact width to comfortably hold a 40mm wide figures base, it also works perfectly well with smaller scales as a larger construction. The complete base model include three barges and the overall size is180x80mm, 32mm tall. The walkway is 45mm wide and at the top of the ramp is 15mm high. It can be used with less barge modules to have a shorter size if needed, or you can purchase additional modules to extend it! 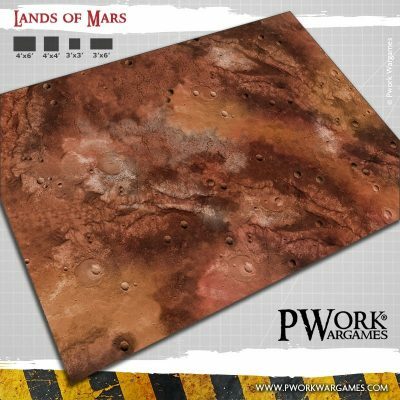 The Gaming Mat Lands of Mars is a PVC or CLOTH made rollable terrain mat, ideal for wargames, in size 4x6’ (122x183cm), 4x4’ (122x122cm), 3x3’ (92x92cm), 3x6' (92x183cm), representing the scenery of the Red Planet, characterized by sand, craters and canyons. 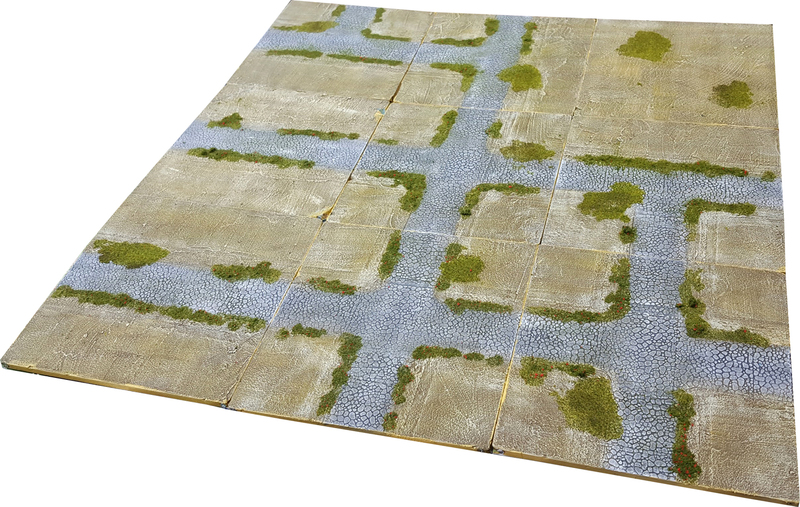 For those Flames Of War enthusiasts who lack a dedicated gaming table or simply don't have space for one, the Gaming Mat is the perfect solution. Within seconds it transforms the humble dining table into a full-sized (72" x 48" / 180cm x 120cm) Flames Of War battlefield. 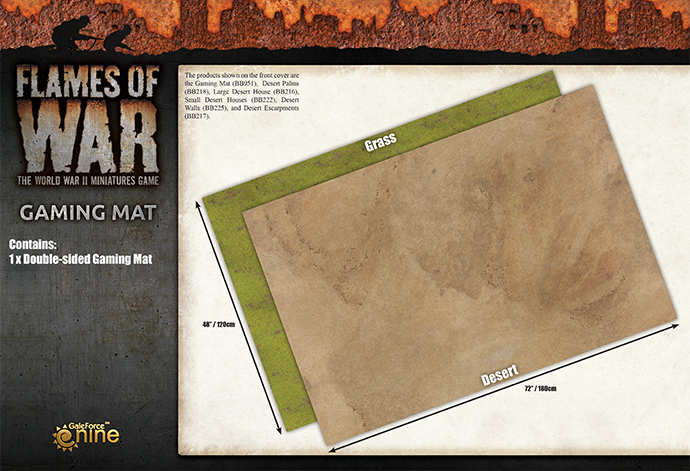 Featuring a unique double-sided design, the Gaming Mat is ideal for representing a range of different battlefields and theatres of war. 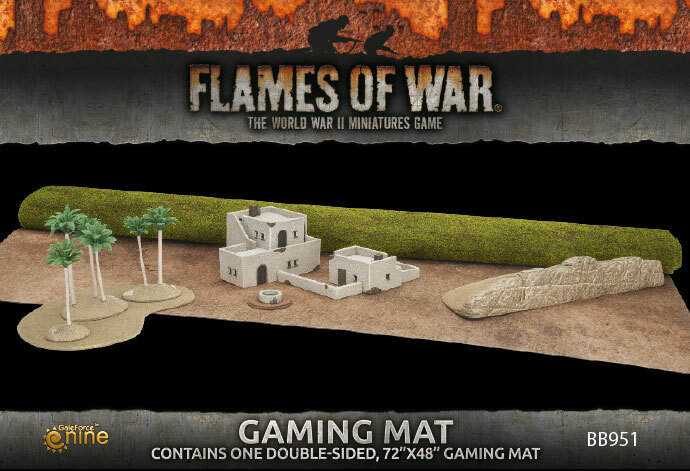 From the dry, sun-baked desert of North Africa to the vast, open spaces of the Russia Steppe the Gaming Mat offers the Flames Of War player an unequalled level of flexibility.